Engrave It Houston — Where Can I Get HK416 Clone Markings Laser Engraved on a Brownells BRN-4 Lower? You heard right! 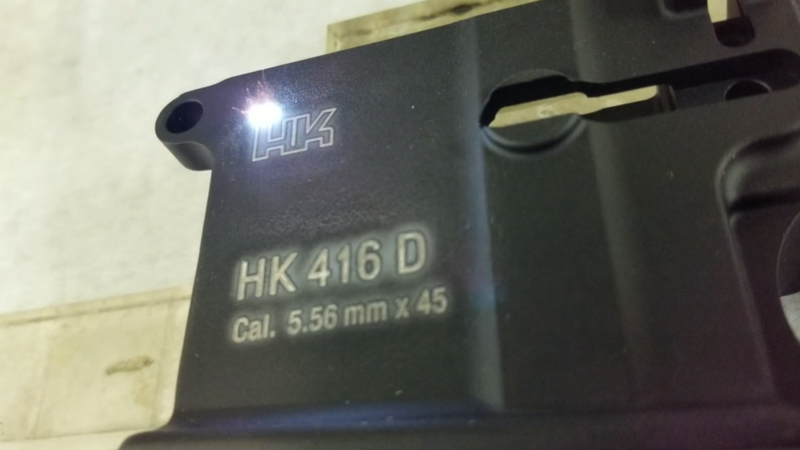 Engrave It Houston is one of the few engraving shops to offer laser engraving for clone marking your BRN-4 lower as an HK416 Clone (and any other clone marking you might need). Brownells marks their lowers on the front of the magwell. They also have a serial number engraved and color filled on the same side as the bolt catch above the trigger pin. They’ve dubbed their lower the BRN-4, and it is a thing of beauty for HK and clone enthusiasts alike. The BRN-4 provides a beautifully clean slate for clone markings, so your clone building process can be as easy as possible. Bring your Brownells parts to Engrave It Houston, and let us engrave them for you with the markings your clone needs. 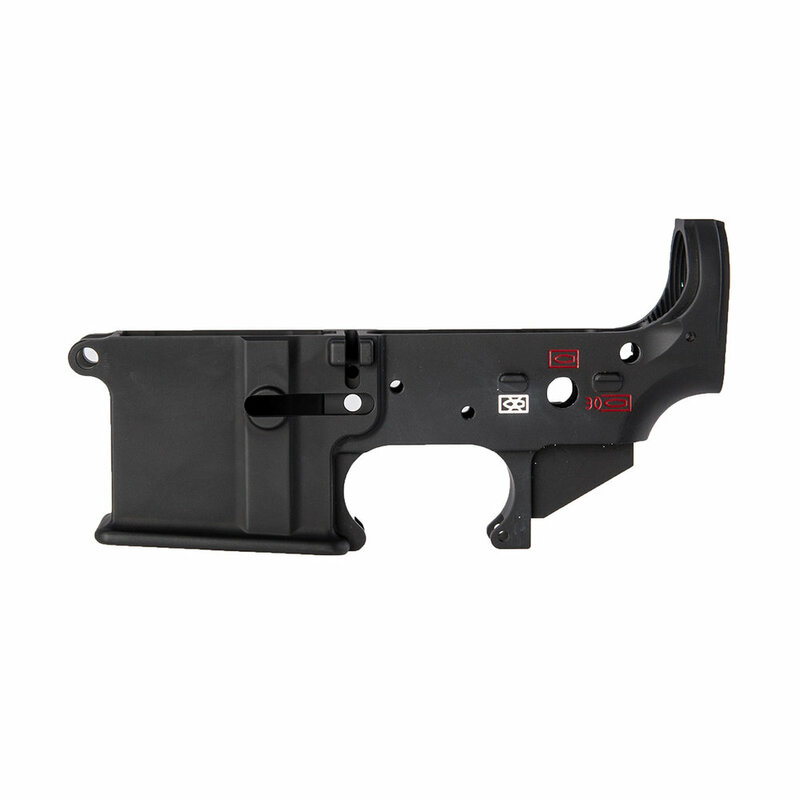 BRN-4 Stripped Lower Receiver, machined from original HK416® forging out of Germany. Brownells started with a raw HK416® forging, and had them machined by Primary Weapons Systems to be as authentic as possible. 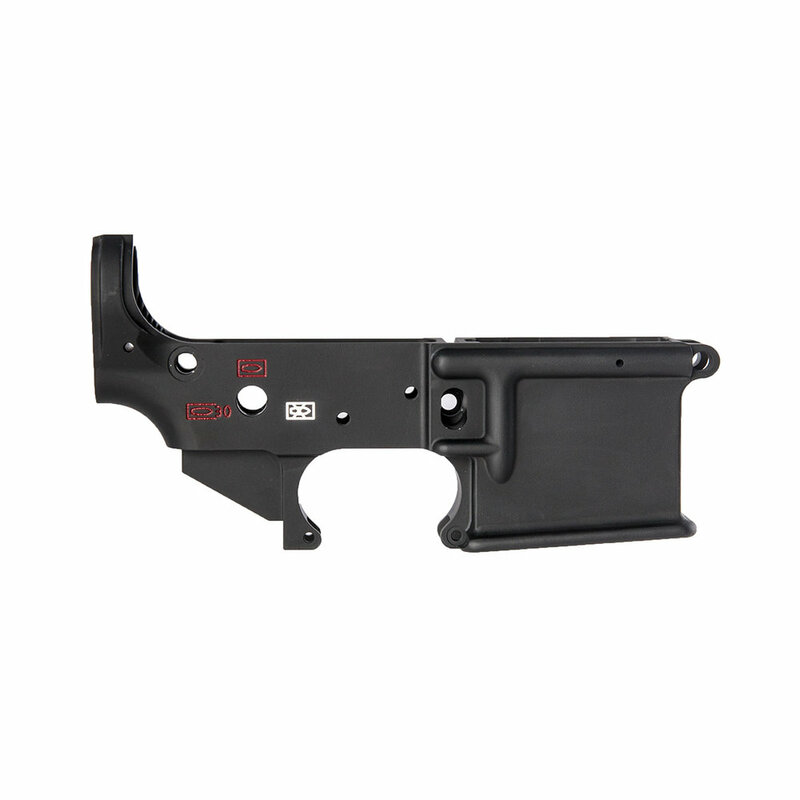 These lowers feature the classic contours of the HK416®, found on now other lower receiver. Selector markings are inspired by HK416® markings, with color filled pictogram markings. The FFL information is machined on the front of the magazine well, where the normal HK416® warning information is placed. Following machining, these receivers get a matte black Type III anodizing. The BRN-4 is compatible with all standard AR-15 components, and is right at home on an HK416® build or a custom AR-15. Ready to finish your HK416 clone build? Good news! In addition to their BRN-4 HK416 Lower Clones, Brownells also offers full part kits with everything you need to complete your HK416 clones. Even better news! Engrave It Houston can engrave all the necessary components of your HK416 clone with all the necessary HK markings! At Engrave It Houston, our cutting-edge equipment and highly-trained team of designers and technicians make us one of the premiere sources for firearm engraving, marking, and personalization. Combine that with the fact that we are one of the only firearm engravers offering clone engraving like engraving HK416 markings on your BRN-4 lower and other HK clone parts, and it’s easy to see how Engrave It Houston has become an industry leader in the field of firearm engraving and customization. Schedule your firearm engraving appointment today, and see why firearm enthusiasts across Texas choose Engrave It Houston.